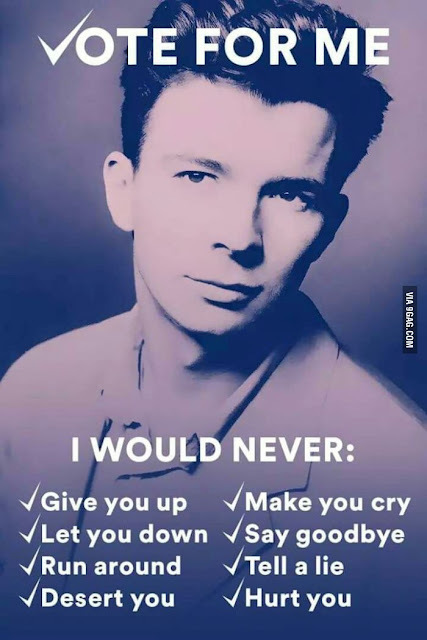 This week's Musical Monday theme is songs about school, which is what I did last week. In order to follow the theme without being repetitive, please find the song below. I am now a teacher at Macon Hall Elementary, which is the home of the Timber Wolves. play my alma mater's fight song. The kids started school the beginning of August, and it's been a busy life for teachers; but I'm loving my new placement. In honor of back to school, here are Songs in Real Life: School Edition. From a parent's perspective, here is Baby Got Class. 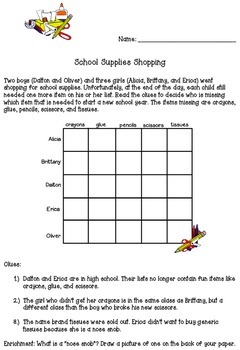 How about challenging your children or students with Back to School logic problems from my Teachers Pay Teachers store? 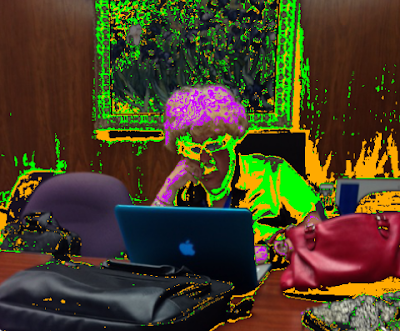 Today, my friend and coworker snapped a picture of me hard at work. Personally, I thought the picture was boring; so, I added some color to it. No time to blog these days. Our theme this week is what we like to do in the summertime. This makes me sad because I've been back to school for two weeks, now - one week with kids. So, I'm going to focus on the hard work I did over the summer to get my TPT store up to par. No, it wasn't in the coal mines, but I did a lot of revisions. All of these products may be purchased at my store. And now for the music. Devo! Everyone and their kid brother has been seeing what they will look like in 50 years. Mine didn't come out too well. I guess this means I'll be dead. rift for their Uma Thurman song. Someone I know saw Patrick Stump on an airplane. #WW Bathroom Doors: Are You an Egg or a Sausage? 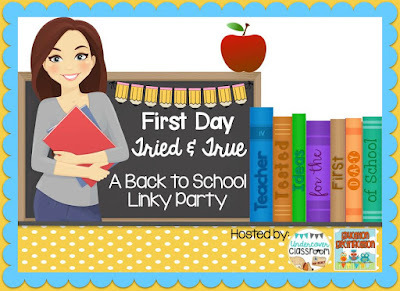 On the first day of school, instead of telling the kids about me, I ask them to look around the room and tell me what they can infer about their teacher. I also like the game where kids pass a ball of yarn and introduce themselves. At the end, we have a cool spider web, plus we show that we are all connected. One of my favorite writing prompts is to ask, "If you could be an animal, which one would you be and why?" It gives good insights to help learn about the kids. One year, I had a blast telling a terrific lie to the kids about how I went to Africa with Brad Pitt and Angelina Joli (Ain't gonna happen with those two anymore). At the end of the story after their little eyes grew wide, I confessed that it wasn't true and asked them to write a whopper of a story about their summer vacation. 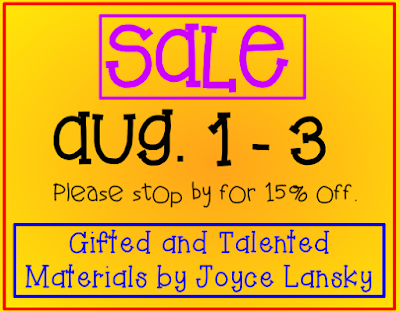 Whatever you do, have fun on the first day of class, and please, check out my sale. 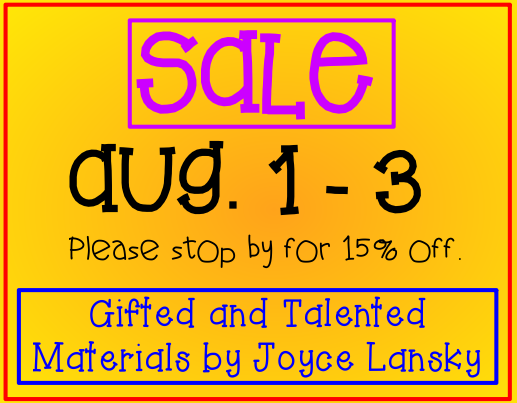 TPT is having a huge sale on August 3rd & 4th, so guess what? You may stop by my store on the third for an additional 15% off. The fourth gets even better. I am offering a buy one get one free deal for all of my readers and followers. That's right, send me an email or leave a comment on this post for a free item, of your choice, of equal or lesser value on products purchased on August 4th! Please stop by and check out my products 372 products. Happy shopping!